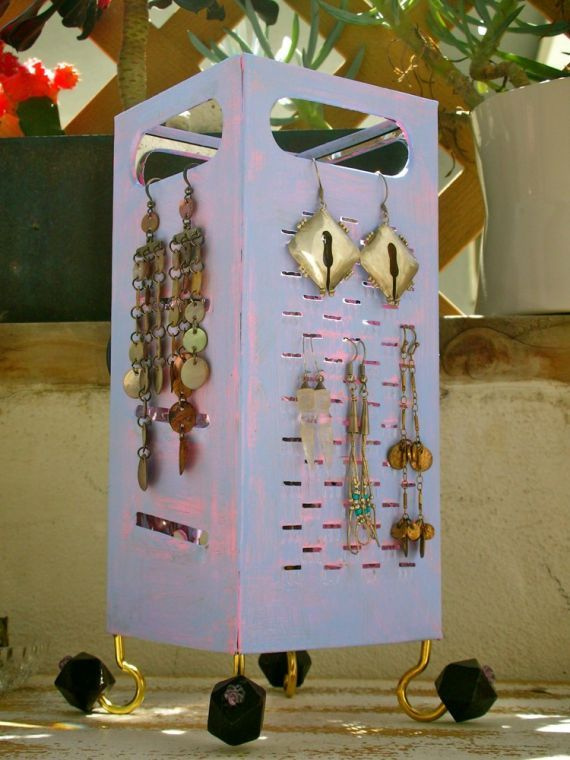 Share the post "DIY Storage and Organization for Your Earrings"
If you have all of your earrings thrown all together, you’ll end up super-frustrated from all of the dangling and tangling. Moreover, it is easier for your precious jewelry to break or snap when everything is bunched together. Use these 5 tips to effectively organize and store your earrings so you can avoid such mishaps in the future. You don’t even need to put a jewelry stand on your shopping list, because these DIY tips are super-simple! Take a bit of your day to grab a wooden hanger from your closet and convert it into a jewelry hanger. With the help of some small hooks, you can dangle the earrings from the hanger. Use an empty egg carton to keep your earrings safe and sound. How genius is that? Each pair can occupy one of the compartments in the carton, and you can use the lid to punch holes and store your studs as well. 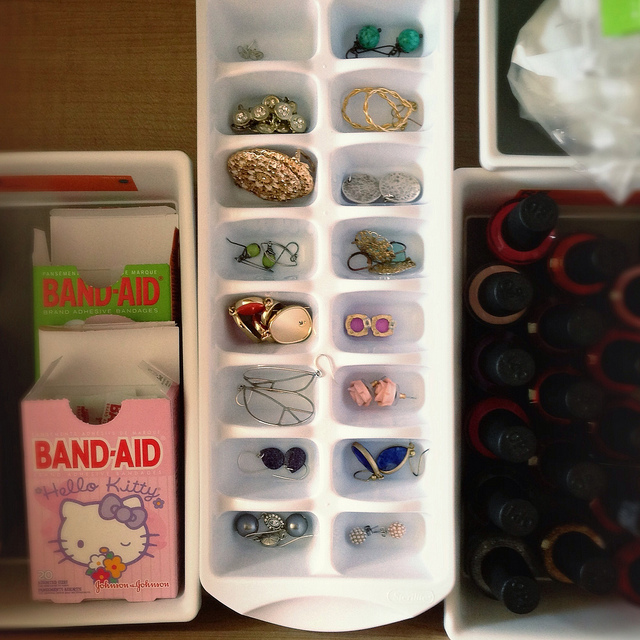 We love this organizing hack! With an ice cube tray, that is! Each compartment in the tray is just the right size to fit a pair of earrings, which means that they won’t get tangled up or lost. Plus, ice cube trays can be stacked on top of each other, making this an effective use of storage space as well. Whether you have studs, hoops, or drop earrings, show them off with a cute display case. There are loads of varieties out there, from shelf-style displays, jewelry racks, boxes, and more. Choose the one that appeals to you and organize your earrings by stone, color, or metal for easy identification. Hanging cards are great for storing studs and smaller earrings. You can use index cards or cardstock, punch in some holes, and simply push the earrings through. 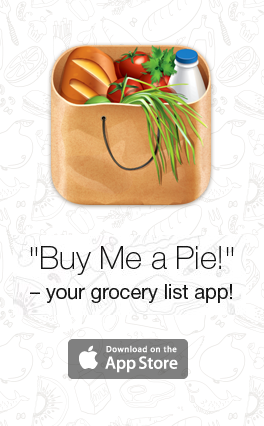 Finally, you have something to do with all those holiday greeting cards and business cards!